Asset management at its finest. Orange Plaza Financial Center serves as an example of how to adapt to the ever changing business requirements, typical for retail and office space rental. Sometimes managing real estate assets feels like a long journey: seemingly unvarying but, upon closer inspection, constantly changing, making you adapt to new climates. The story of Orange Plaza Financial Center captures perfectly our skill at managing an asset on a highly changeable market. 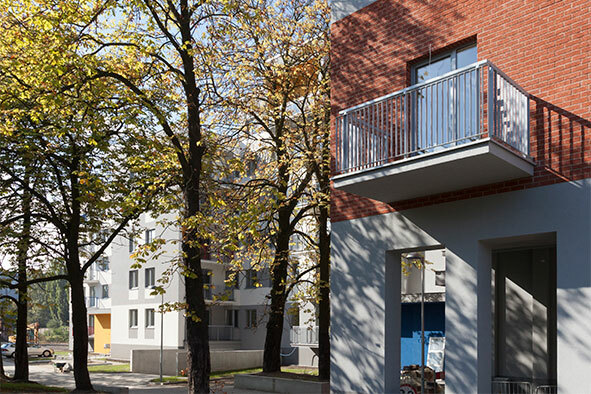 Our goal was to integrate the project seamlessly into Lodz’s shifting landscape. 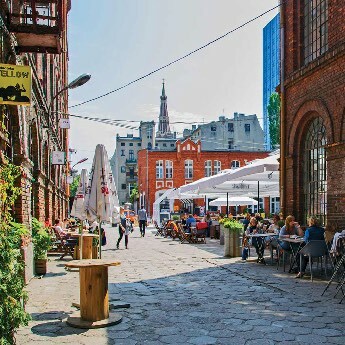 “Polish Manchester”, as it is commonly called, was still recovering from the decline of the textile industry, following the political transformation of 1989. The turn of the century, however, saw a slow re-emergence of commerce. 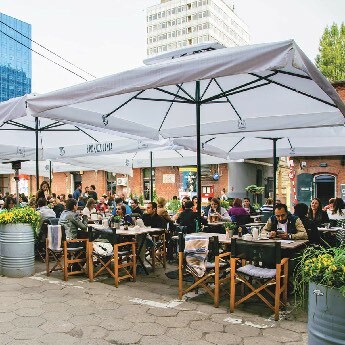 Being responsible for exploring new investment opportunities, we chose to draw upon what is probably Lodz’s most distinctive hallmark – Piotrkowska Street. As it turned out, the decision paid off! Uncork the champagne! 100% lease for the first time! Orange Plaza, located at the junction of the two main communication arteries in Lodz, emerged as a 4-storey shopping mall. The property’s strengths lay in its perfect location, respectful design, innovative utilities and exceptional standards at the time. 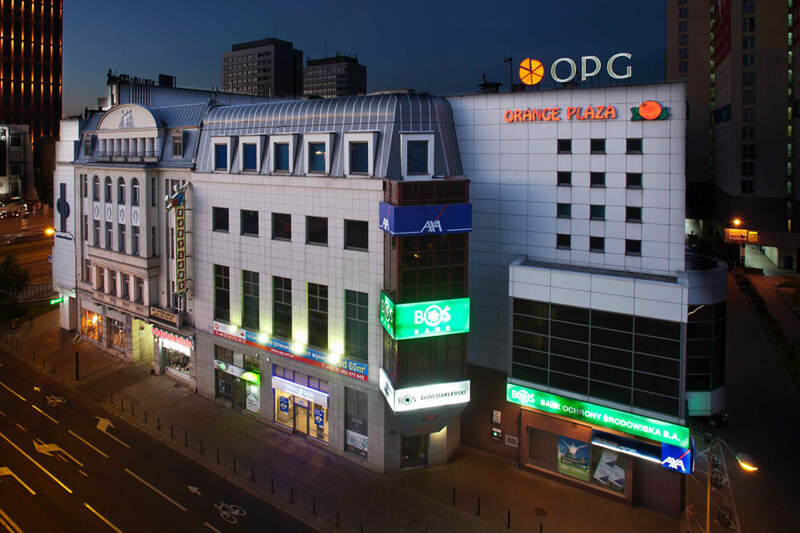 In 2000 Orange Plaza was one of the most modern commercial buildings in Lodz, offering suspended ceilings, access control and air conditioning, among other things. 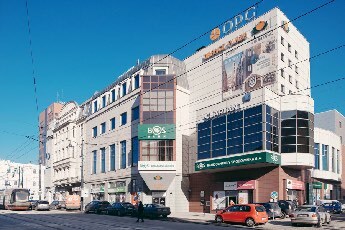 Six years later Orange Plaza became Orange Plaza Financial Center. 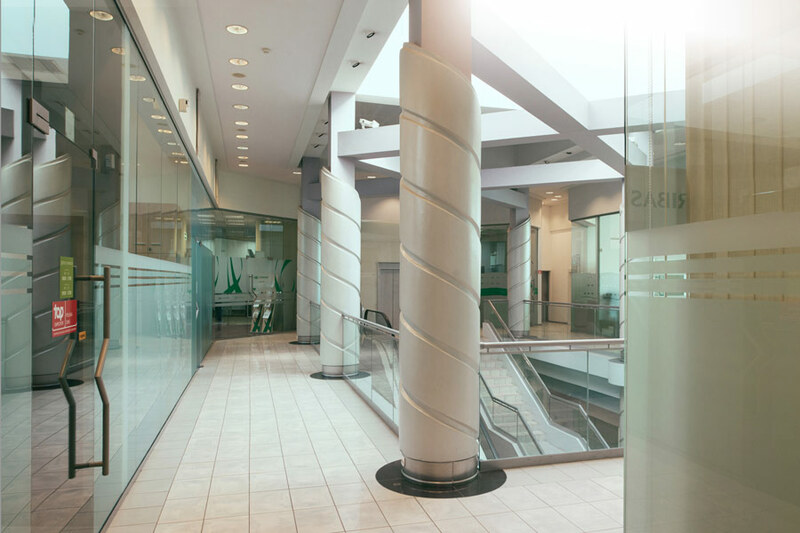 The decision to shift from a boutique shopping mall to an office building with retail functions stemmed from two major factors. Firstly, the services sector began its triumphant march towards the city. 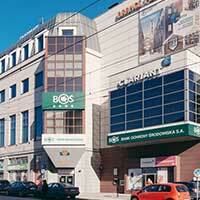 Secondly, Galeria Lodzka – one of the first big shopping centers in Lodz – started to dominate the local retail market. Instead of pursuing an unprofitable tenant-mix strategy and cutting lease rates, we decided to make the most of Orange Plaza’s qualities and its direct proximity to excellent administrative, commercial and hotel infrastructure. 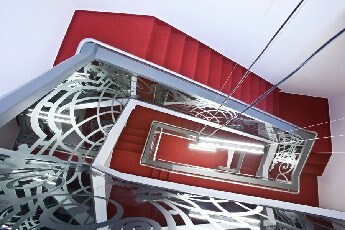 The building was reborn thanks to Orange Plaza’s functional arrangement, including mechanical ventilation, full ICT wiring installation, optical fibre technology and the addition of skylights to the upper floor. Our course is firm, commercial viability is secured! The refurbished Orange Plaza makes for a perfect location for offices, banks, and financial services.To date, our list of tenants includes such renowned brands as Allianz Bank, Allianz Insurance, AXA Insurance, BOŚ Bank, and Getin Bank. 2001 Uncork the champagne! 100% lease for the first time! 2005 Average lease rates start to drop. Time to take evasive action! 2008 - Our course is steady, commercial viability is secured! Commercialising historic buildings rarely tolerates corner-cutting. Jaracza 47 Prestige proves that thorough renovation for lease purposes can sometimes bring quality and prestige appreciated by the biggest brands. Why is cutting corners simply not worth it? Restoring historic buildings to their former glory for business purposes is never easy and rarely tolerates a lick-and-a-promise approach. 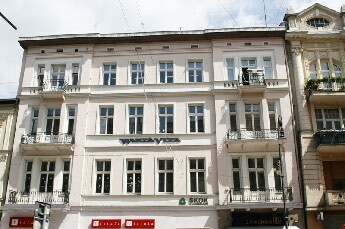 Jaracza 47 Prestige, a 19th century tenement, required significant amounts of capital, careful investment planning and a deep understanding of revitalisation processes. It also proved that with hard work come great rewards. 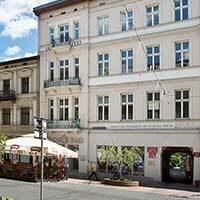 A purchase and complex renovation of a historic tenement tends to be rather capital intensive. In order to optimise equity risk capital costs, a special purpose vehicle was established as a limited liability company. This allowed us to obtain an advantageous bank financing arrangement and to release the capital involved. In a case like this, proper risk management becomes crucial. Jaracza 47 Prestige project can be viewed as a full-fledged revitalisation, including both exterior and interior. 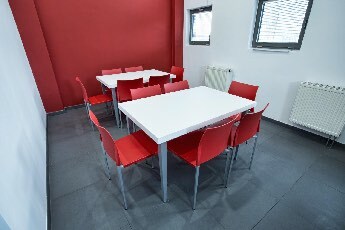 We equipped the property with modern amenities for its today’s users: surveillance, monitoring and access control system, ICT network, fibre optic cable, air conditioning, quiet, high speed lift, and dropped ceilings. 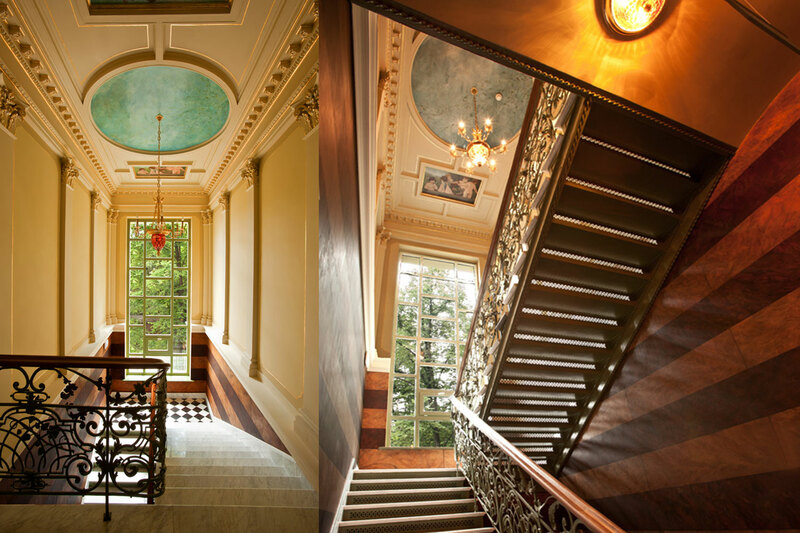 We paid attention to the smallest of details, including 19th century polychromed and gilded decorations. Why go to such lengths? First of all, historic buildings age at a much slower pace than modern ones, if given proper standard. The more you spend now, the more you save later. But where is the line drawn? 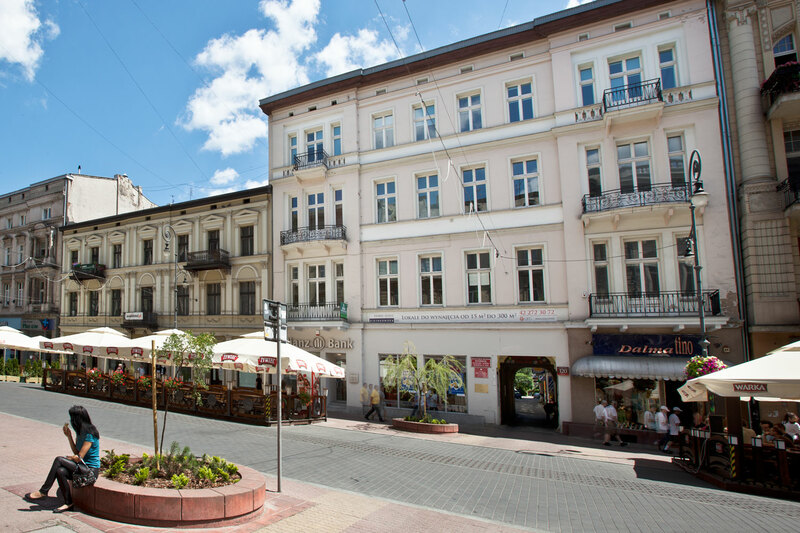 Our budget was bigger than the other average revitalisation projects in Łódź (usually limited to mere facade renovation), although it allowed us to raise the asking rent price by 35%, while other similar projects continue to suffer high vacancy rates. 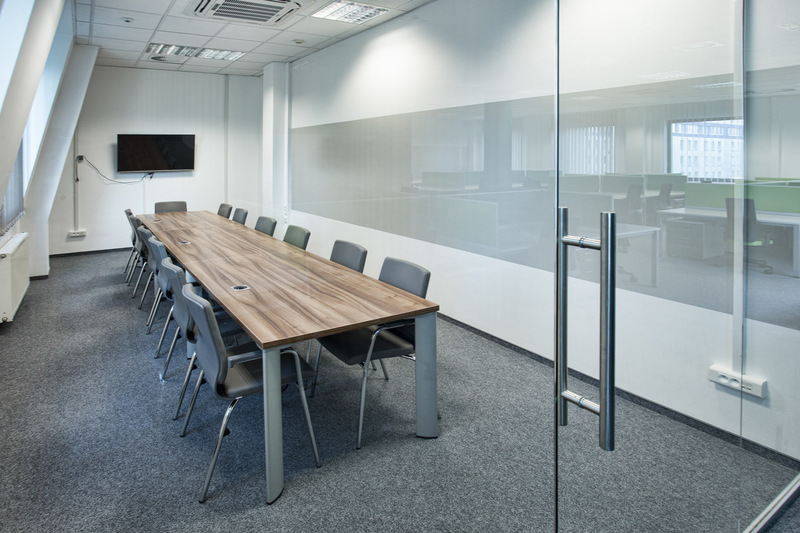 Careful planning and adequate adjustments to the building allowed us to achieve continuous lease, making for a stable, low-risk investment for our client. The project would not be feasible were it not for successful negotiations with the neighbouring property owners (new parking spaces) and the City’s Historic Preservation Officer (additional storey of office space). Due to the highest building standard and its excellent location, Jaracza 47 Prestige makes for a perfect place for high-profile tenants. 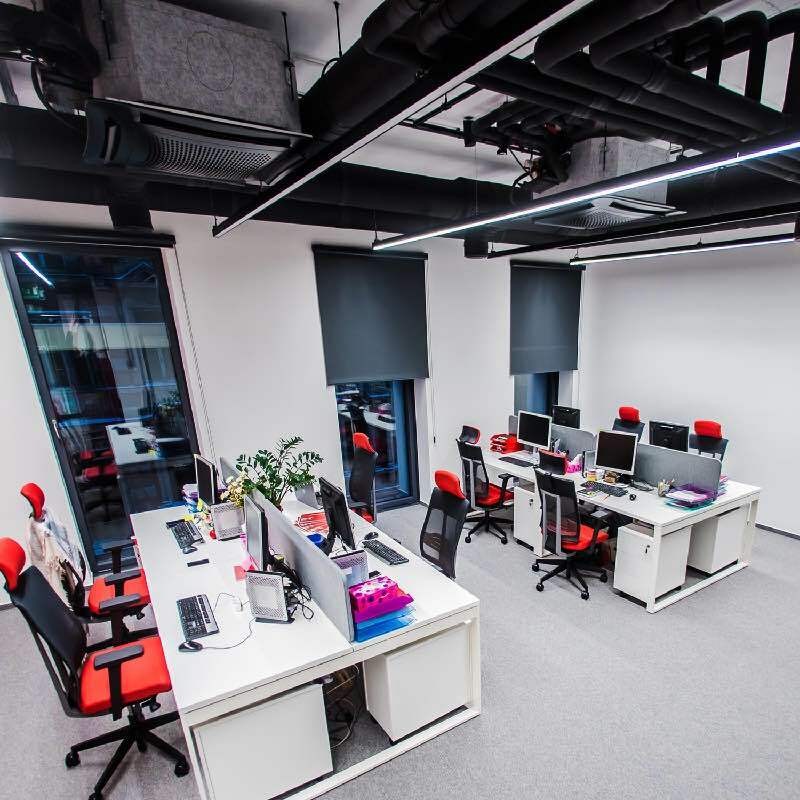 Among its residents one should mention Baker & McKenzie – one of the biggest international law firms in the world, which decided to locate its second Polish branch office in Lodz. Anyone can sell a property. Not everyone can do it in the most profitable way. Piotrkowska 120 is a story of a +200% value increase and a successful sale in less than one year. Due to the small fluctuation of demand and supply, real estate purchases are usually considered a safe investment form. Of course there are risks – high capital intensity and low investment liquidity to name a few. 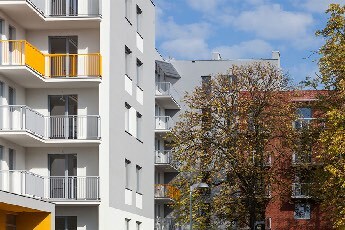 Piotrkowska 120 project shows that with right property management and effective commercialisation these obstacles may be mitigated and significant profit can be made. 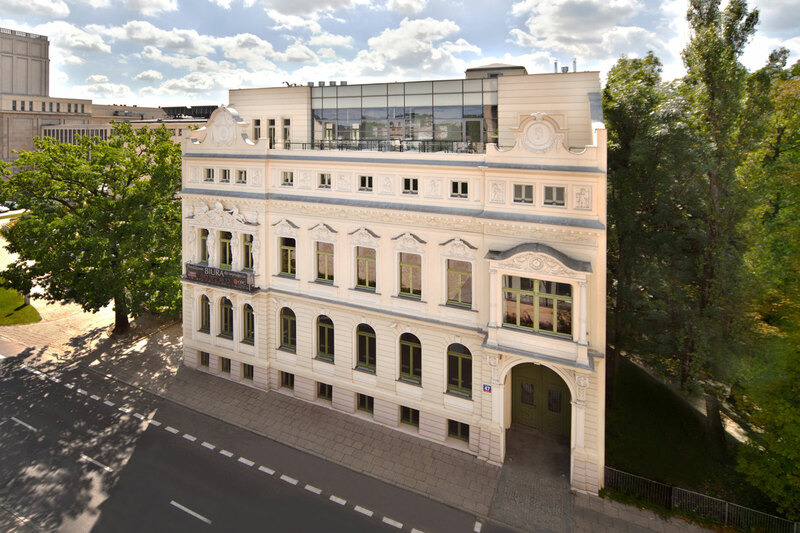 In the case of Piotrkowska 120 private residence we were entrusted with its acquisition, management, lease strategy and commercialisation process. Due to the credit sensitivity of the whole operation we started off with creating a special purpose vehicle. SPV allowed us to improve the management of the asset and liabilities and helped isolate the financial risk on behalf of our client. Synthetic lease expensed on the investor’s income statement rather than recorded as a liability on the balance sheet meant protection from possible operational or insolvency issues. 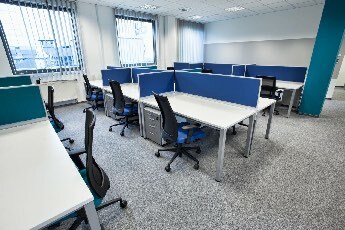 To avoid vacancies and ensure continuity of profitable lease, we needed to verify actual demand and tenancy structure. We had to establish a tenant profile that not only added to the prestige of the place, respected the property and paid its rent on time, but was also feasible from the demand point of view. We decided to draw upon Piotrkowska 120’s representative location, immediate vicinity of the town hall, beautiful Neo-Renaissance architecture, and its rich history, dating back to the 19th century. After a thorough restoration we managed to re-create elegant office spaces and commercial premises, successfully rented to legal practitioners, stylish clubs and exclusive boutique stores. 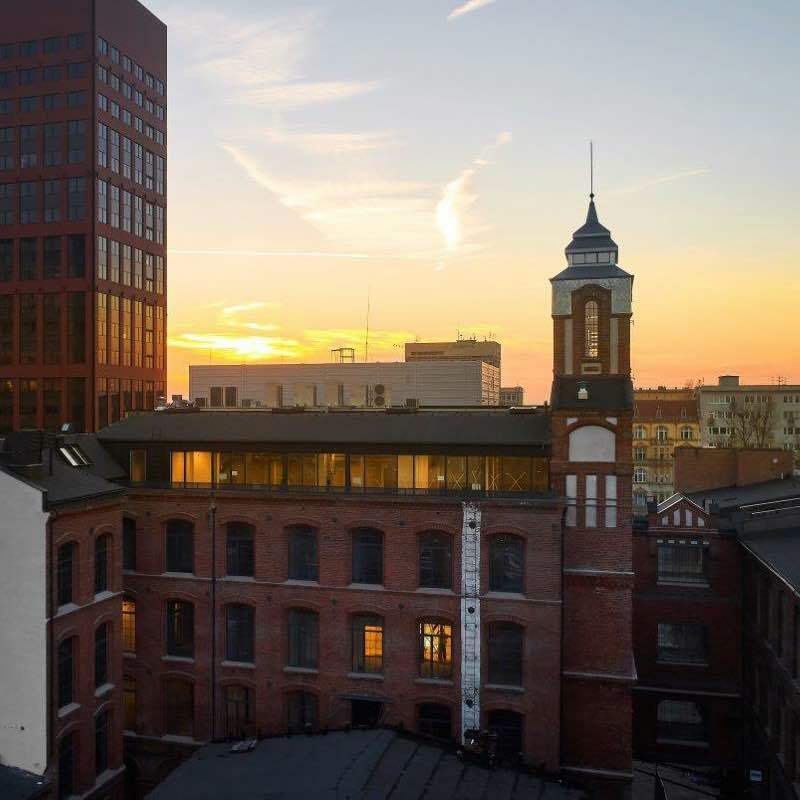 We turned Piotrkowska 120 into a triple net leased property – a fairly popular investment vehicle for investors seeking steady income and a relatively low risk. Therefore we were able to act on behalf of Vendor and secure sale with +200% return on equity. 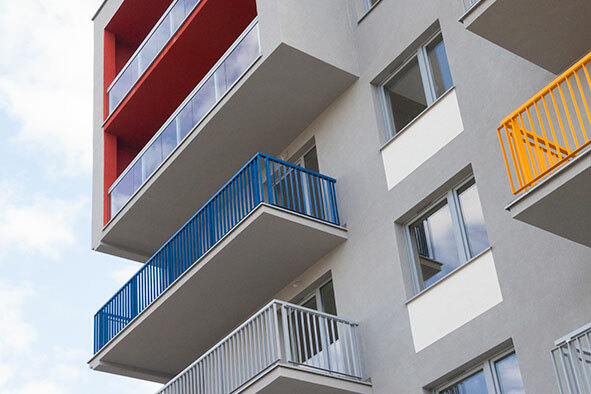 Our client had no concern for vacancy factors nor tenant improvement costs since paying the building's property taxes, building insurance and maintenance fell on the lessee shoulders. High credit worthiness of our tenants allowed us to increase the capitalization rate. 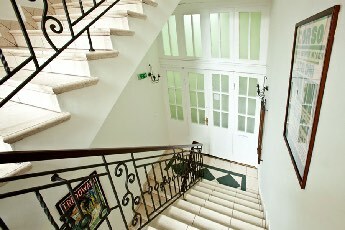 Having managed the property for 14 years we increased its value by 200%. 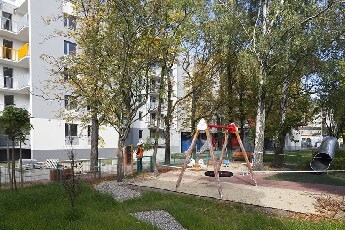 Due to capital appreciation and low investment risk, Piotrkowska 120 guaranteed high return on equity ratio to the new buyer. It is why we managed to sell the property in less than 12 months. 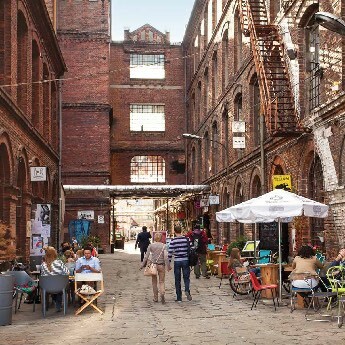 OFF Piotrkowska Center in Lodz, hailed by National Geographic as one of the seven wonders of Poland, showcases perfectly how to breathe new life into post-industrial architecture and bring out new opportunities for creative business. located in the very heart of the city, in the most attractive part of Piotrkowska St. When speaking of revitalisation, people and their ideas come in the first place, only followed by actual building renovation. OFF Piotrkowska Center tells a story of a degraded quarter that became one of the most valuable plots in the city, with minimum capital engagement. Old buildings can often be seen as both a problem and an opportunity. This perspective is understandable, given the fact that thorough renovation, more often than not, turns out to be very capital intensive. 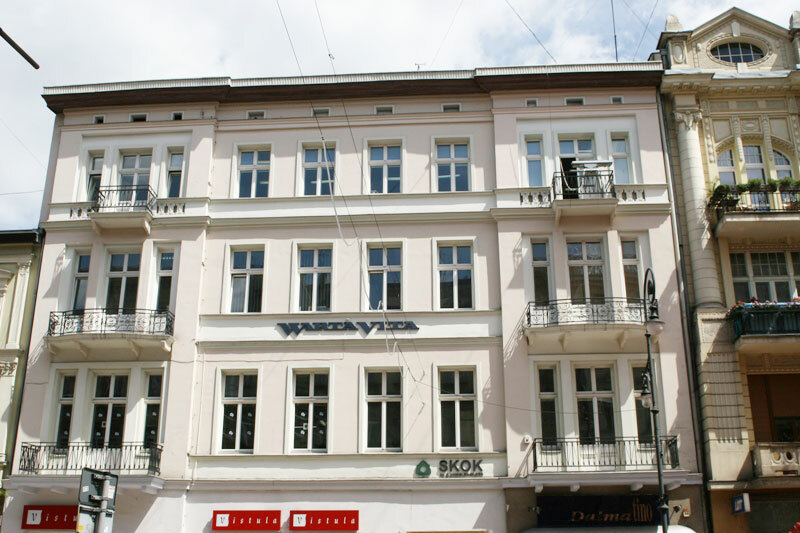 Such was the case of the former cotton factory founded by Franciszek Ramisch. 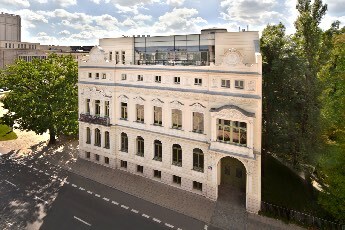 Ambitious renovation plans, which were about to bring new functions to the historic complex, eventually became thwarted by the global financial crisis, making the whole investment unprofitable. What we needed, new strategy, new idea, an alternative. Execution! We were given a choice: either continue with existing tenants who were bringing the property’s value down while ensuring steady and relatively profitable income, or begin from scratch. We decided to tap into the unique, unhampered vibe of the postindustrial complex and placed our bet on creative industries – an integral part of Łódź’s new identity. 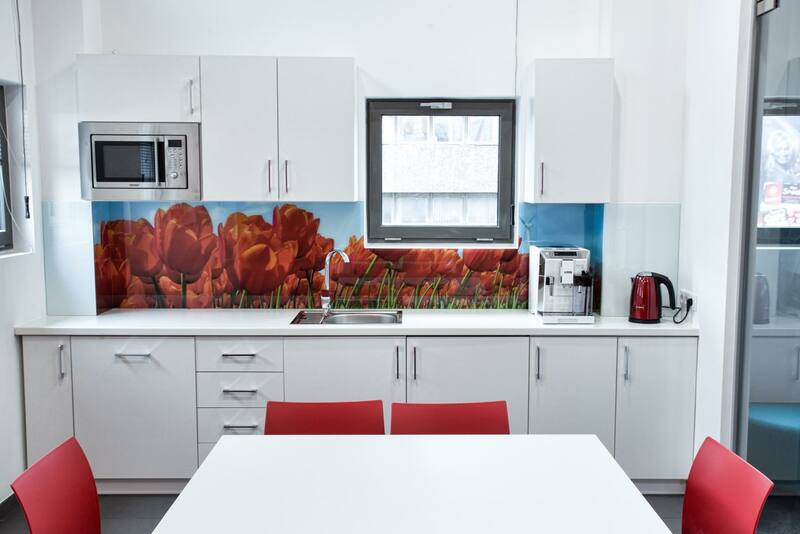 At the expense of lower rents, we engaged tenants’ capital into renovation of their premises. The business model we worked out over the years became an alternative to capital-intensive formats such as traditional shopping center. 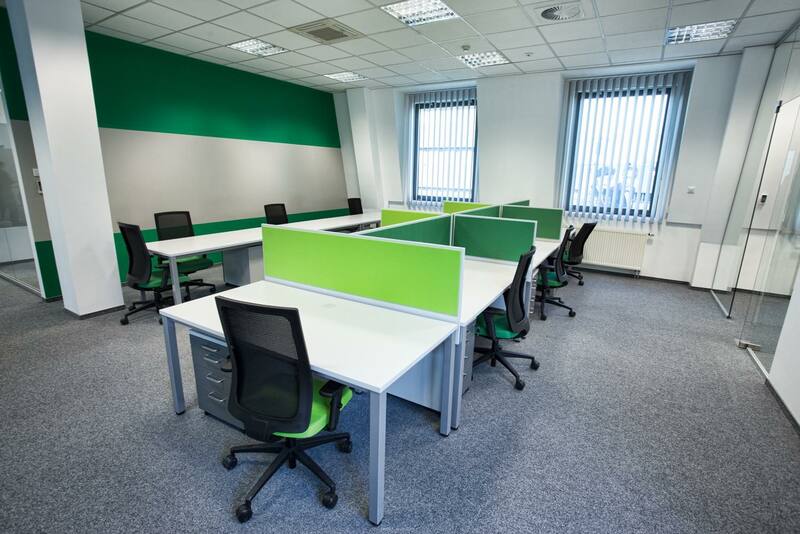 Responsible asset management meant a careful selection of tenants. We had only one condition: bring something new to the table. Be creative. Offer something unique – something you won’t get from a chain store. 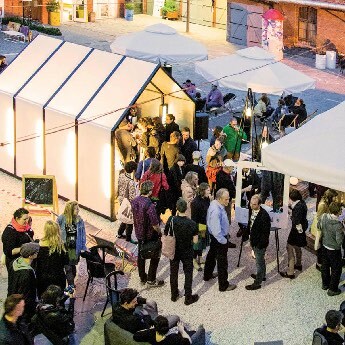 We based our placemaking strategy on a rich event repertoire, worked out collectively with the tenants. This allowed us to breathe new life into post-industrial complex, encouraging urban art, offbeat business ideas and most importantly – people. The outcome? First place in the Seven Wonders of Poland contest, held by the National Geographic Magazine. 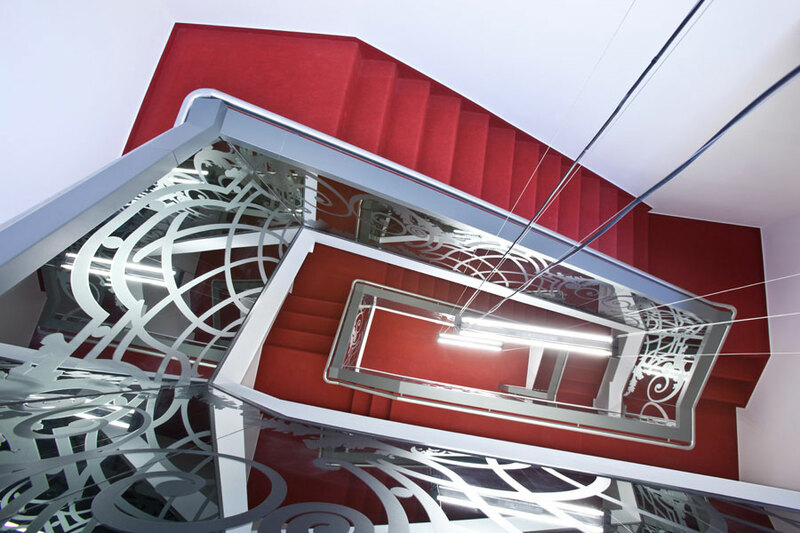 We never stop looking for new ideas to bring even more life to OFF Piotrkowska Center. The strategy we introduced allowed us to increase the property’s value over time, making further revitalisation financially viable. With the introduction of new, multifunctional projects – TEAL OFFICE and SEPIA OFFICE – we wish to prove that work and life can be perfectly balanced. Crude everyone on the primary market offers nearly the same end product, what can you do to attract new clients? One way would be to lower the development standard and asking prices. However, we preferred to increase the usable and residential space and successfully sell the apartments at prices above the market average. How did we do that? 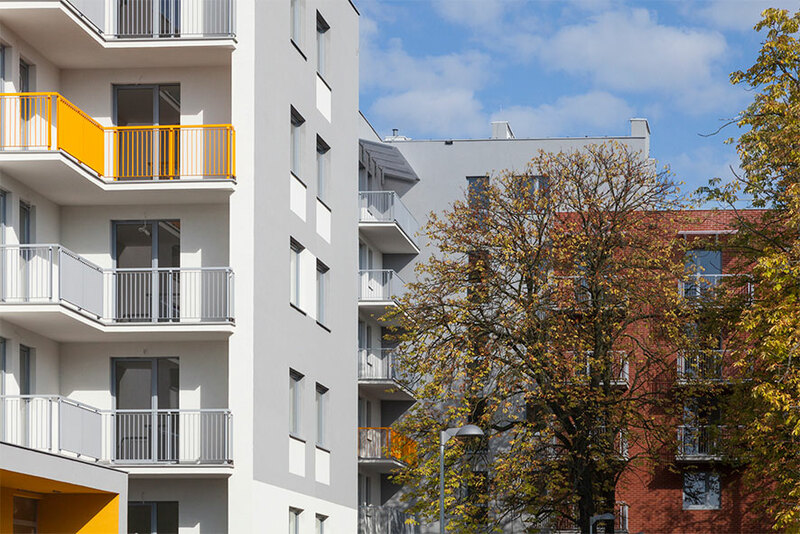 A quiet, charming location, with good transport links, and within comfortable distance from the city centre, was seemingly perfect for housing development; however, it didn’t allow a feasible density at first. 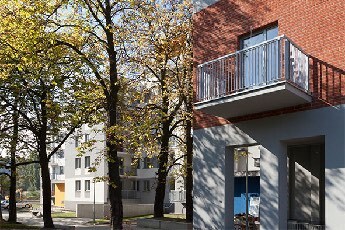 Negotiations with local authorities allowed us to divide the original plot into several smaller ones, making it easier to plan and manage the individual development stages. 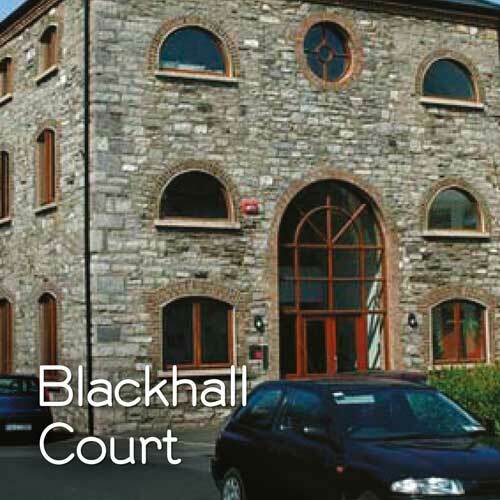 We also acquired special planning permission, normally granted to the bulit-up inner city area. This allowed us to develop more apartments than we normally would be able to, on a plot far more attractive than those located in the downtown area. Due to the project’s sheer scale and a shallow market, the investor requested an efficient risk mitigation plan and a fitting funding model, providing minimum shareholders’ equity and preventing unassisted financing. To that end we created a special purpose vehicle and devised a development schedule for nearly 400 apartments. 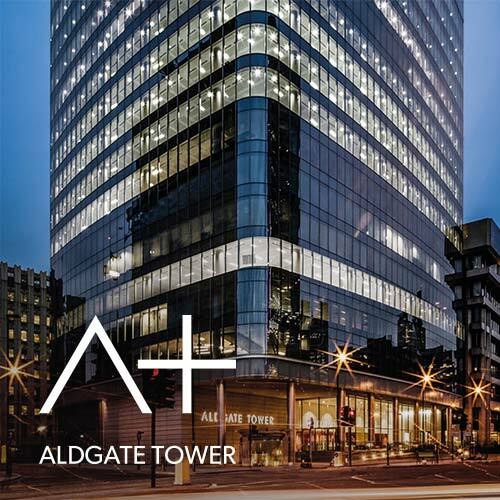 Before construction began, we had managed to release credit which allowed to cover the entire development cost and arranged loan repayment for 12 months after completion. Moreover, we were able to break down the development project into smaller, more manageable and financially feasible stages. When everyone on a cost-driven, primary market offers nearly the same end product, what can you do to attract new clients? 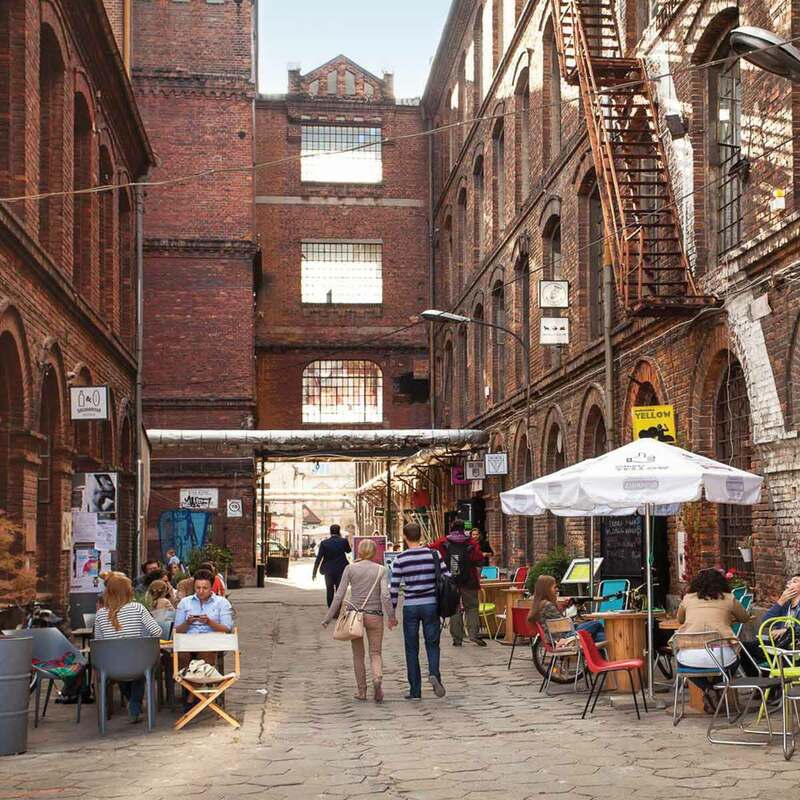 Our experiences from OFF Piotrkowska Center project told us that the people of Lodz like to cherish the heritage of their city. Therefore we turned ART MODERN’s history into a unique selling proposition. We based our marketing and sales strategy on the local traditions of modernist art, nods to the architecture from the interwar period and the manufacturers that used to occupy the plot. 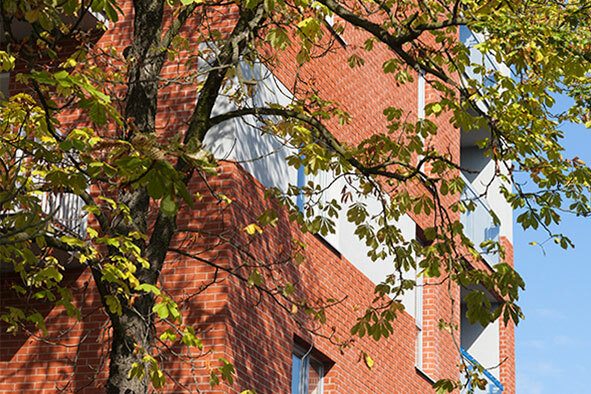 Rather than a basic residential estate, the project has been designed and marketed as an “uptown” place to live and work, brimming with highly functional apartments and benefitting from the excellent commercial, recreational and cultural infrastructure of Lodz Gorna district. Optimum use of the plot, proper phasing, pinpointed target groups, well-defined products, negotiating and acquiring bank loans, smooth project management, engaging marketing, competent sales and post-sales service - all of these elements shape the final price of every single square metre. In order to steer your development project through the changing market conditions and avoid costly errors in such capital-intensive endeavours, the scale effect and professional experience are crucial. ART MODERN proved to be a successful venture due to the precisely defined residential products, proper apartment-mix and effective engagement of the target group, which granted us a high return on marketing investment and a successful sale at 10% more than the asking price. Managing a development project is quite a complex task, especially when you’re not running a green-field investment. 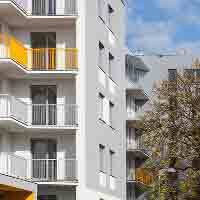 How to work on a „living organism” by carrying out the construction works within existing or already rented premises? 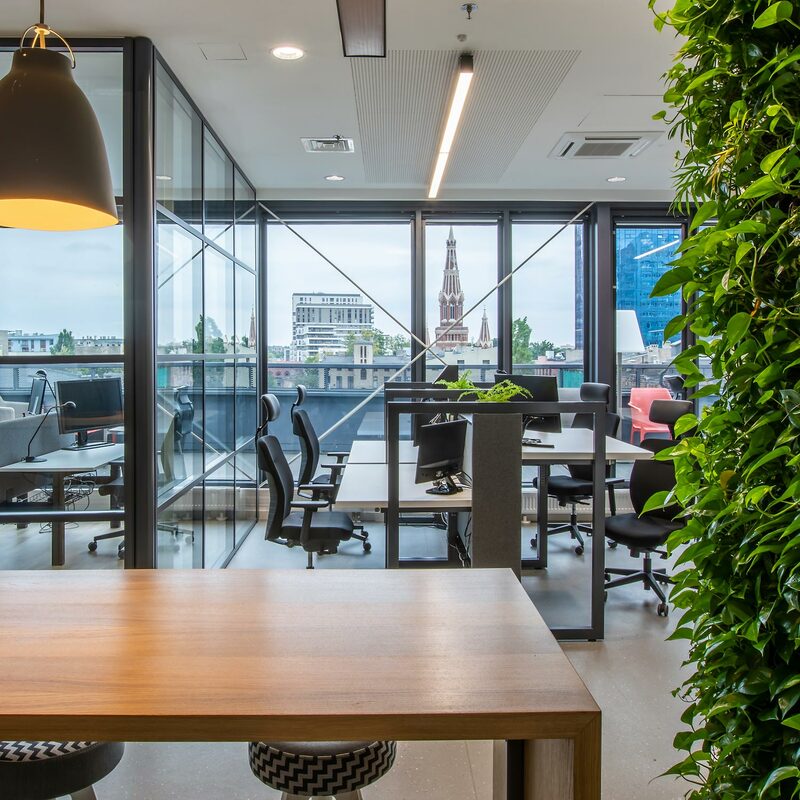 How to minimise equity risk for boutique office buildings, which traditionally take longer to commercialise? 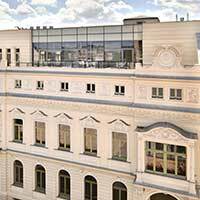 Let’s hear the story of TEAL OFFICE and SEPIA OFFICE – two projects that marked a new chapter in the history of OFF Piotrkowska Center! 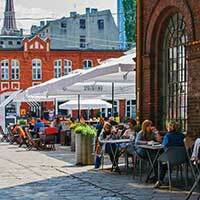 how to carry out a development project within historic premises? 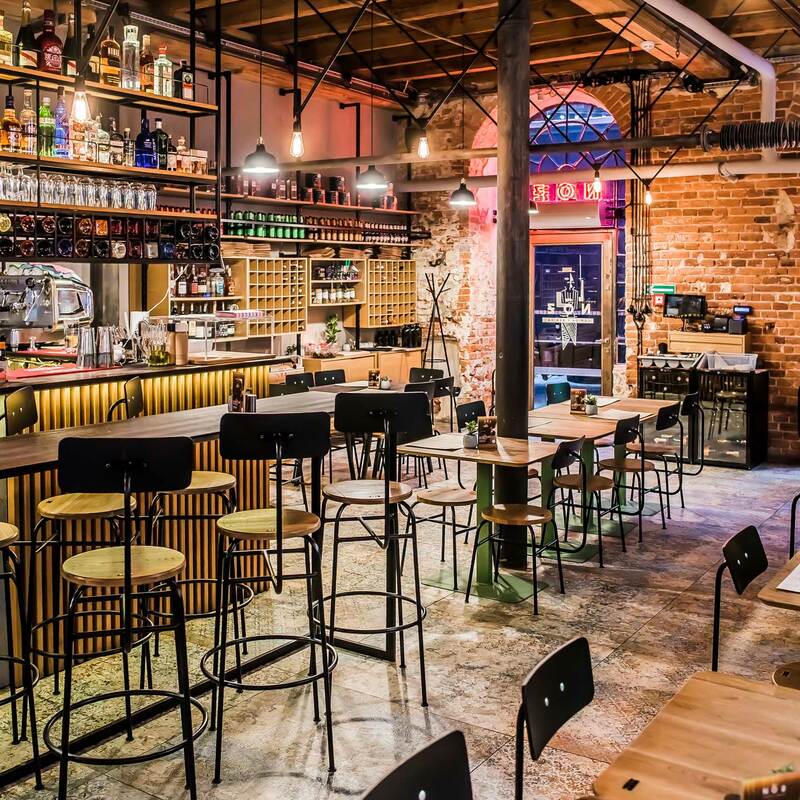 Revitalisation and repositioning projects usually prove to be very challenging on various fronts, particularly financial and architectural ones. All the more so if we are talking about already functioning premises and boutique rentable space which makes quick commercialisation rather difficult. However, with TEAL OFFICE and SEPIA OFFICE we’ve proven that in project management nothing’s impossible for us! 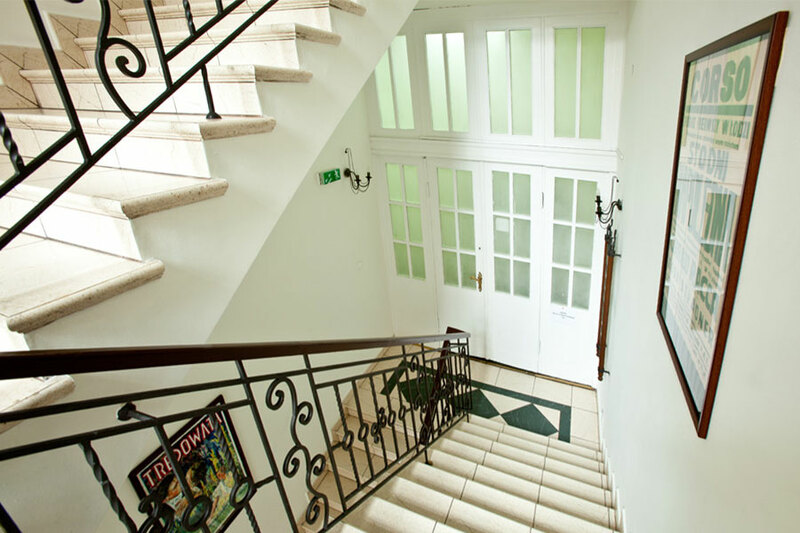 Successfully managing OFF Piotrkowska Center brought us to a point where we needed to decide how to capitalise on the growing value of the property and simultaneously maintain its established character. We chose to renovate one of the historic buildings as part of the ongoing revitalisation, as well as developing a new class-A building to match the highest business requirements. 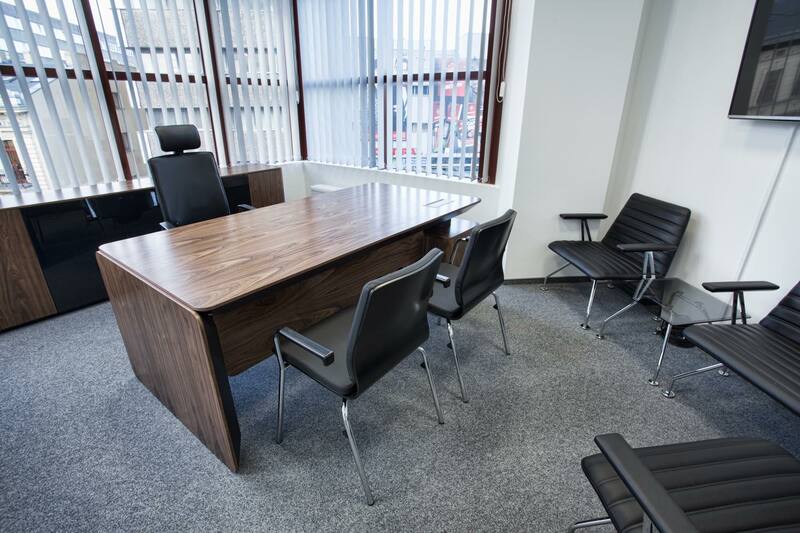 In both projects we primarily aimed at the office function for the sake of high yields; however, we didn't want to lose sight of a certain tenant profile. To that end we also included restaurant premises to amp up OFF’s leisure offer. Both properties ended up offering a little more than 5.300 sqm. 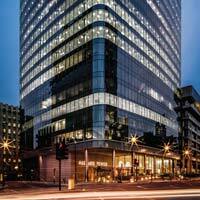 GLA in total; as such, they can be categorised as boutique office buildings. 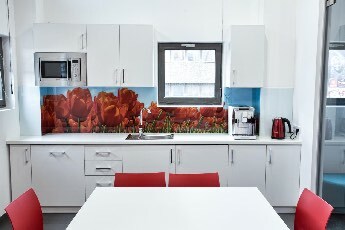 Relatively small leasable area didn’t necessarily expedite the commercialisation process, calling for a high flexibility in terms of both the lease offer and the selection of amenities. 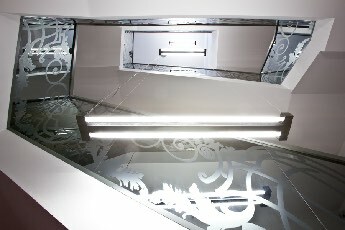 We decided to turn challenge into an asset. 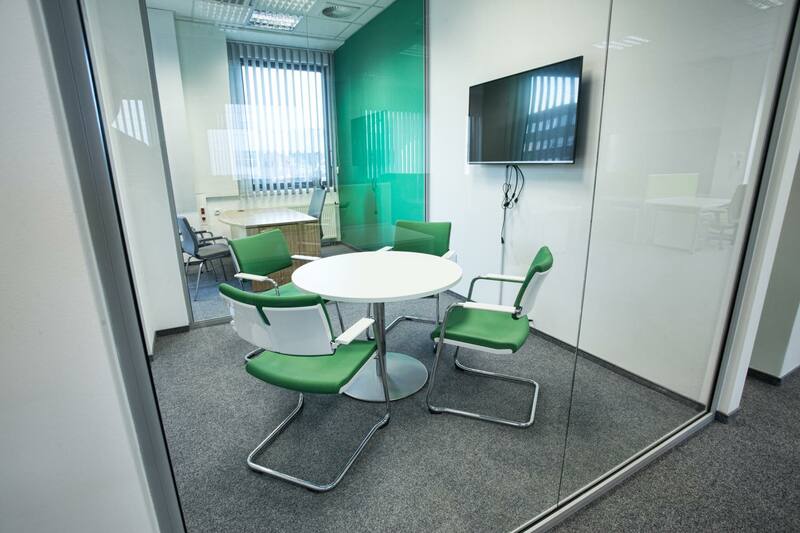 With variable space arrangements and technical floors which allow quick modification of space, we directed our offer at growing ITC, TECH and BPO companies. As a result, we managed to lease 40% of the planned space, granting us favourable financing conditions. Adding new functional space to the existing architecture was of paramount importance to us. 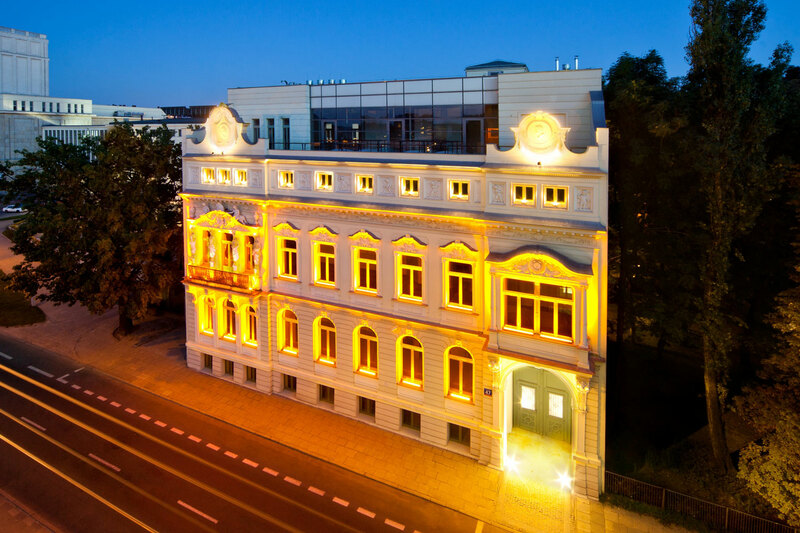 In order to preserve OFF’s unique, raw spirit which found favour with the readers of the National Geographic Traveler magazine, we merely washed the facades of SEPIA OFFICE without tampering with the characteristic red brick walls. TEAL OFFICE, on the other hand, boasts a graphite brick rear facade and a stylish glass front which maintains the ambience of the surrounding architecture. It was also important to schedule all of the construction work in such a manner as to avoid closing OFF Piotrkowska Center to guests. To that end we took account of the environmental and technological constraints, as well as the seasonality of the surrounding businesses. As a result, not only did OFF never pause due to the ongoing construction, it also managed to scoop some prestigious titles at the end. 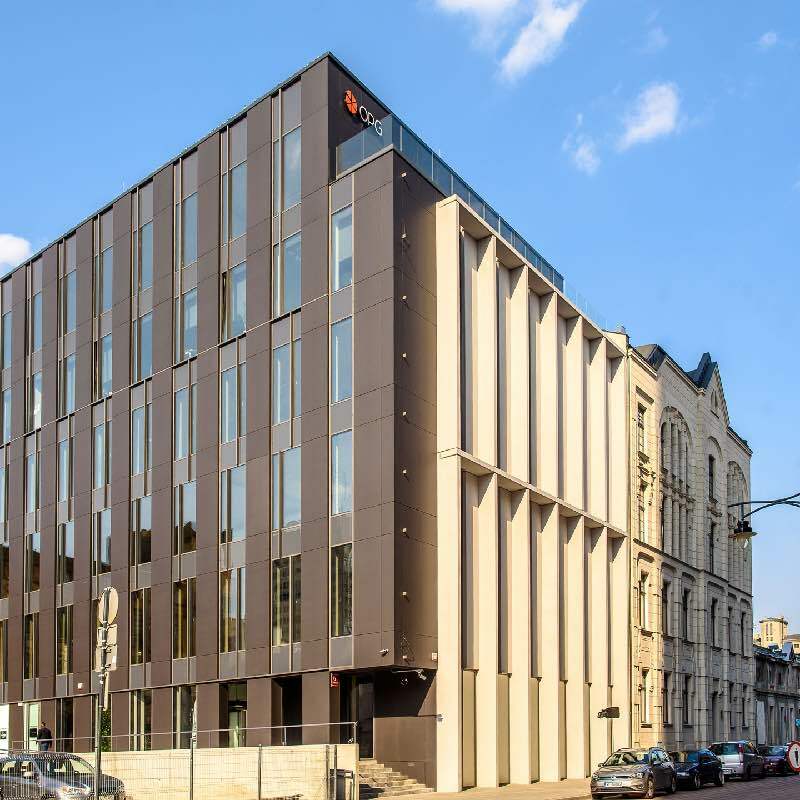 In the „Pearls of Lodz” contest the citizens gave recognition to OFF Piotrkowska Center (The Audience Pearl - 1st place), SEPIA OFFICE (The Industrial Pearl - 1st place), and TEAL OFFICE (The Contemporary Pearl - 2nd place). Our company is fully independent both financially and structurally. While working closely with partners from all around the world, we remain capable of handling both small and major projects. 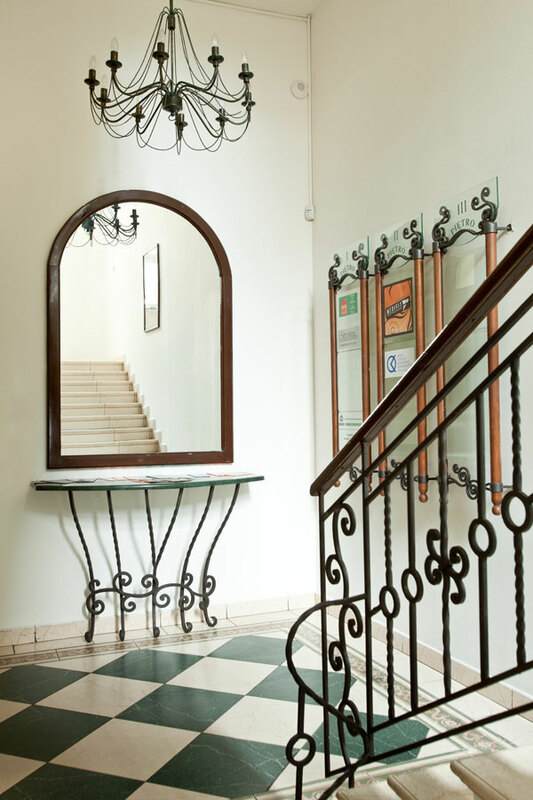 Therefore we are able to offer balanced and objective advice covering different areas of the real estate market. While operating independently, OPG Property Professionals enjoys the privilege of being a vital part of a recognised, multinational investment & development company a Gleeson Properties and Development Company. 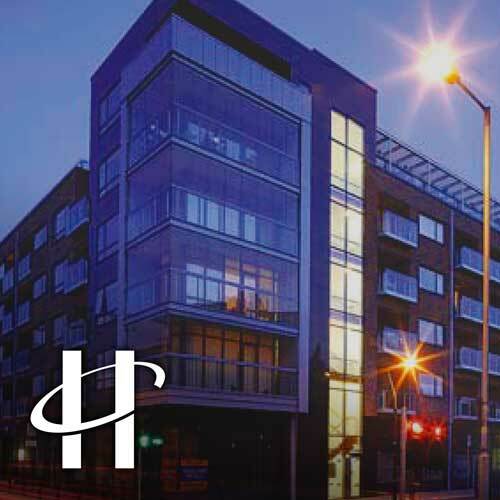 Our associates are based in Dublin, Ireland, although the group’s property portfolio is spread geographically throughout Ireland, the United Kingdom, the United States and Poland. The experience we’ve acquired over the course of our mutual working partnership has allowed us to broaden our horizons. Because bright ideas and professional service know no borders. 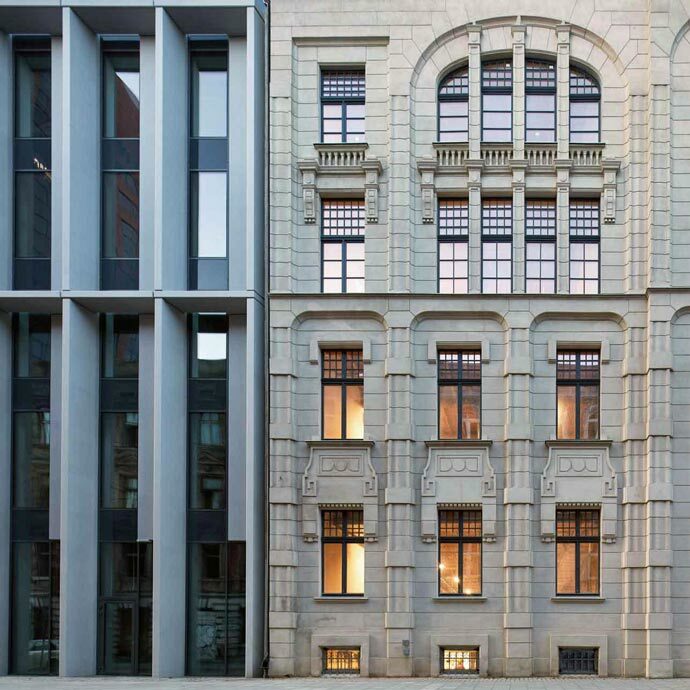 The re-engineering and design of an old textile factory to an upmarket inner city residential development of 100 large apartments including the conversion of three Victorian town houses into residential use. 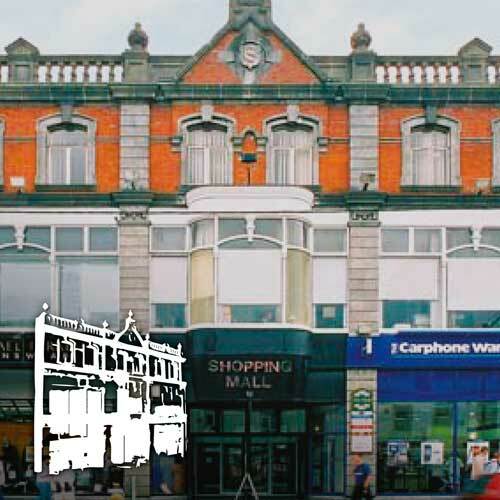 An historical and exclusive 1901 Town Centre department store redeveloped to accommodate retail and office space (under management). 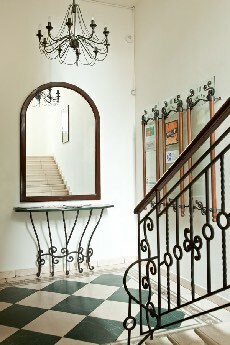 Constant attention is needed for the preservation and upkeep of the buildings detailed craftsmanship. Comprising 30 000 sqm over 19 floors. This Wilkinson Eyre designed grade ‘A’ office building was the first large speculative development in the City of London after the financial difficulties of 2008. 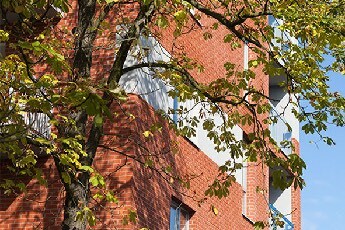 Completed in 2014 and 100% let. The full redevelopment of an old marina to an exclusive operating marina incorporating 277 dry and wet storage slips. 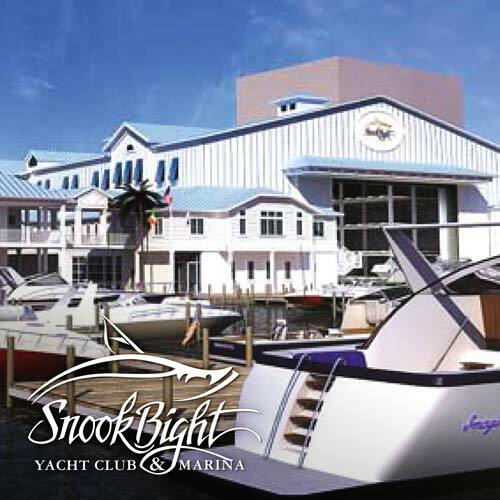 Including restaurants, yacht club and other premier marina facilities. Managed and built to strict US environmental codes. 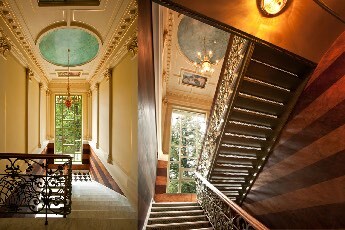 A bespoke 83 high-end residential apartment development which introduced winter gardens to Ireland for the first time. Including four retail units at ground level. Constructed on complex foundations within an historical city boundary.